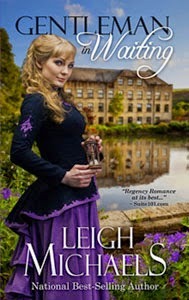 Since my latest Regency romance novel explores what happens after the unexpected death of an earl leaves his entire family -- including his pregnant wife and his daughter -- in limbo, I had to refresh my memory about mourning customs. What was my heroine allowed to wear? How long would she have to remain in seclusion? So I thought today I'd share some fun facts about death and mourning during the Regency and Victorian periods. 1. Deaths most often occurred in the home, and bodies were laid out in the best parlor for visitors. That's the origin of today's commonly-used term, "funeral parlor" or "funeral home." 2. Not only the survivors but the house was put into a state of mourning. Clocks were stopped, shutters were closed, mirrors were draped or turned to the wall, and the "badge of death" (usually made of black crepe) was hung on the front door. 3. In an era before the telephone and (in the Regency) before the telegraph, the news of a death was sent by mail -- often on stationery which bore a black border to warn the recipient of the bad news inside. 4. Women did not attend burials in the Regency period. They were presumed to be too weak to withstand the shock of standing at a graveside, so they stayed at home. 5. The procession from the home to the church for the funeral service and then on to the graveyard (the word "cemetery" is a Victorian invention) was a ceremonial occasion and the lineup of the mourners was very important. Chief mourners -- those closest in relationship to the deceased -- were first in the procession, followed by other relatives in descending order as the relationship grew more distant. Then came friends, neighbors and other guests. 6. Mourning dress achieved full and tortuous status after the death of Prince Albert in 1861 threw Queen Victoria into a cycle of grief from which she never emerged -- but long before that, widows were expected to wear nothing but black for an entire year, the period known as full mourning. The more distant the person's relationship to the deceased, the less stringent the dress requirements and the shorter the period of time. For a man mourning a distant relative, wearing a black armband for a few weeks was sufficient. 7. After the full mourning period was completed, half-mourning allowed the grieving person to wear purple, lavender, or gray clothing -- but bright colors were not allowed until the mourning period was entirely over. 8. The widow was expected to seclude herself at home for the entire period of full mourning -- receiving visits only from close friends or relatives and venturing out only to go to church. During half-mourning, she could once again venture out for quiet social occasions and visits, but not parties or balls. 9. Mourning clothes were among the very first mass-produced clothing items. Since the need for them often arose suddenly, there wasn't time for seamstresses or tailors to make garments from scratch. 10. The heavy black veils worn by Victorian widows were dyed using a compound containing arsenic -- which may have contributed to the the large number of ladies who soon followed their husbands to the grave. 11. Mourning jewelry was often specially made of jet -- a black stone resembling coal -- for the grieving person. Sometimes regular jewelry could be re-engineered to suit the purpose, perhaps mounted on a black background. During half-mourning, some regular jewelry could be worn -- diamonds and pearls because they were neutral in color and amethysts because of their purple color. 12. Until 1823, any person who committed suicide was required by law to be buried at a crossroads with a stake driven through the heart, to prevent the ghost from walking. Until 1832, a suicide could be buried only between the hours of 9 p.m. and midnight, with no service or prayers said over the body. It's relatively easy to find data on Victorian mourning customs; the Regency is a bit tougher to research. In fact, the Regency was part of a transition period between the 18th century (when gravestone symbolism was dominated by the skull and crossbones, skeleton with a scythe, or the death's head) and the high Victorian period (when euphemisms took over and people "entered into rest", "fell asleep in the arms of Jesus", "went to his reward" and so on. We still use some of these -- like "passed away" -- so though many of the customs of the 19th century sound weird to us, they still resonate in today's practices. Fascinating. Glad we no longer wear the black veils.